This post first appeared on the Calvary website. I love beginnings. They feel like fresh starts. I love mornings, because it means that God has delivered a brand new day for me. New possibilities. New appointments. New opportunities. New mercies. I love Monday mornings, because it means that now God has delivered a whole new week to me. I can forget the failures and shortcomings and difficulties of the past week, because a whole new week has just been delivered. I love the first day of the month, for the same reason. It just means the scale has increased on the possibilities, appointments, opportunities. Oh..and when a new month begins on a Monday morning—it’s like all the stars of beginning have arrived! We find ourselves now at the beginning of a new year. A fresh start. As good Americans programmed to follow calendars and the default mode of celebrating New Years—many of us even had the day off—we also tend to think of resolutions to be made. For how we want to begin the year, and hopefully maintain it throughout all those new days, and weeks, and months that will arrive, right on schedule. Let’s take a different approach. I’d like you to look into the future. To a day that will mark the end of all your new mornings, weeks, months and years. It’s not a beginning, it’s an end. It is your end. Your death. Are you there? Can you picture it in your mind? Do you see a coffin at the front of a sanctuary with a group of people quietly gathered in the pews to reflect on your passing? With that image firmly in mind, here is what I’d like you to think about: at the end of your life, what do you hope people will say has been the impact of your life? The impact of all the mornings, and days, and weeks, and months, and years that you spent on the earth. What would you want people to say of you? Of how you have spent the priceless commodity of life. OK…Do you have it? Do you know what you would want them to say? Now—what will it take to get there, in all the mornings, weeks, months, and years until that day? 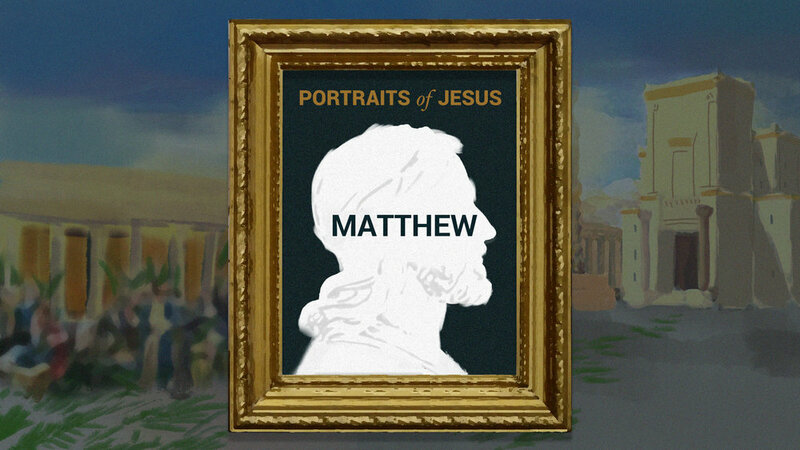 I invite you now to watch or listen to the sermon on Matthew, where I propose what I think we can learn from this portrait of Jesus about the purpose of your life, such that you can have a very clear idea what your life should be about, and how to get there. If you’d like some additional resources on Matthew, head on over to the Bible Project page for this story. And finally, to prepare for this coming Sunday, be sure to read the book of Mark (it is 16 chapters and takes 1.5 hours to read) and study it further through these resources. I look forward to worshiping the King with you on Sunday.